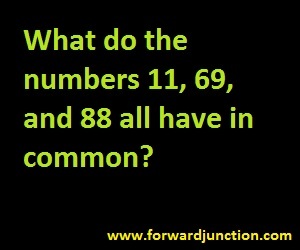 Here is another brain teaser for you. This number puzzle is easy to solve if you look carefully on the numbers. Share it with your friends. Share your answer as comments. Forward to your WhatsApp group. These number will read the same even if you look it upside down.